27 Records Returned 10 Records Displayed. Description: Vista Stock Status report with value that can be printed at any time to determine the value of your inventory on the date specified. 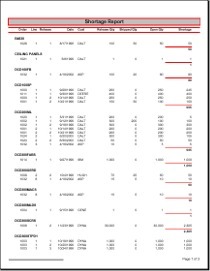 Description: This Vista report shows inventory with an on hand quantity not equal to zero, and includes standard cost, average cost, variance from standard to average cost, last cost, and variance from standard to last cost. Description: Excel retrieves and formats the following data from your database and displays it in the spreadsheet. You can specify any/all combinations of customer ID, inventory class, and product group filter. 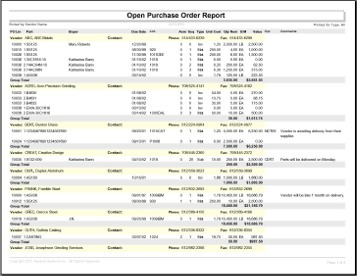 Description: Vista inventory program that marks all releases on a sales order to pull from stock rather than make to order. Description: Vista inventory program that updates standard material, labor, burden & subcontract costs for part assemblies. Description: This Vista inventory program will allow material to be issued only if the quantity on hand will not fall below 0.